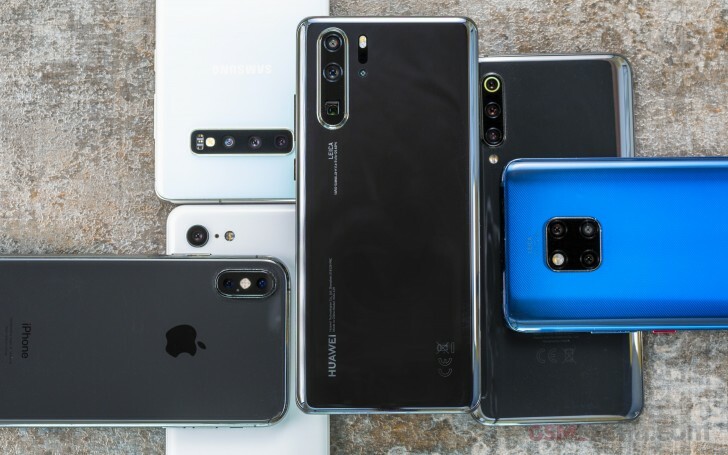 Huawei's been bringing us some of the most meaningful camera innovations in smartphones over the past few years, experimenting with monochrome modules, image stacking, and night mode, off the top of our heads. The Huawei P30 Pro is now official and it's got a new trick up its sleeve - a periscope telephoto camera. We've had the chances to review the P30 Pro and you can read all of our findings in the in-depth review here. But the novel camera tech prompted us to do a more in-depth comparison against the other big names on the market. While at it, we figured we shouldn't limit ourselves just to zoomed in shots, because let's face it - no other phone has a 5x zoom camera. Hence, this shootout. 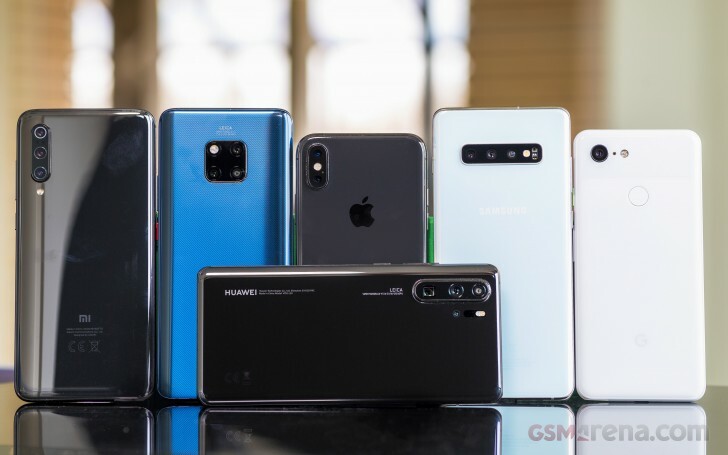 The lineup for this comparison includes the Samsung Galaxy S10+, which comes with an ultra wide camera, and it's wider than the P30 Pro's but lacks autofocus. As is very much the norm (which Huawei aims to break), the Galaxy's telephoto camera is just 2x. So is the one on the iPhone XS - no camera showdown is complete without Apple's presence. The iPhone, however, is under-equipped as it's missing a ultra wide module. Surely an omission to be fixed this fall, but there are six months until then. Another participant with even less hardware on its back is the Pixel 3. Google doesn't bother with hardware - it's all about computational photography here, and the Pixel 3 takes some of the best low-light shots on the market. It can't just come up with info what's happening outside of its frame, so it has no answer to the ultra wides of today, and the computational Super Res Zoom is no dedicated lens either. The Xiaomi Mi 9 has them all, however. It's got a telephoto module and while it's not quite 5x, 2x is still something, right Pixel? Then there's an ultra wide cam which can autofocus like the P30 Pro's. For the sake of continuity, we also grabbed the Mate 20 Pro we had tumbling around the office. The Mate shares its ultra wide camera with the P30 Pro, but the common things end here. Both primary cams are 40MP, indeed, but the sensor on the P30 Pro is new. It has an RYYB filter on top with the Yellow pixels supposedly better at gathering light than the Green ones of old. Additionally, the lens is brighter (f/1.6 vs. f/1.8) and is stabilized. Then there's the telephoto camera, which is the star of the show. The P30 Pro's periscope-based telephoto offers a field of view equivalent to a 125mm lens on a full frame camera, and while it's not super fast (f/3.4), it is stabilized. And we are talking about a real telephoto lens in a smarthpone, after all. The Mate 20 Pro's conventional 80mm-equiv. counterpart looks modest in comparison. Now, the P30 Pro also has a ToF camera on the back, but we'll refer you once more to the review if you're after some more technical details. We're going out shooting. It might be a good camera, but to my experience the Sony is very poorly built phone. The camera won't help you when you won't be able to get calls in and out. It means not the same winner in all categories, mixed results.